Drivers competing in the Monster Energy NASCAR Cup Series playoffs are formidable competitors. They face grueling conditions in the cars, demands from their teams, and expectations from their sponsors and fans. No one’s ever asked — maybe for good reason — what if we combined two drivers from NASCAR’s championship playoffs into one super-driver? 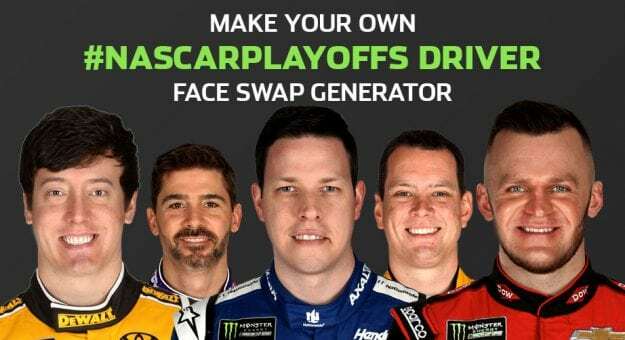 Thanks to the power of the Internet, we’re giving you the ability to create your own driver face-swap mashup monstrosity to create the ultimate playoff driver. Why? Because we could. Also, we wanted to give you nightmares.